Submitted by tomkovacic on Mon, 10/27/2008 - 12:41pm. 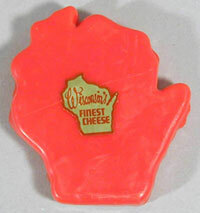 Wisconsin produces about 40 percent of all cheese made in the United States. It is second in volume produced, to California. However unlike California, most of it is made in small, family-owned and operated cheese factories that specialize in special varieties. Most factories welcome visitors. Many have tours or observation windows were you can observe their operation. Mornings are generally best to see the factory in operation. Many factories also have a retail outlet so you can sample their cheeses and purchase some to take home. Much of this POI’s information was found on www.wisconline.com. I have included the specialty cheese produced at the factory, along with it’s address, phone number, and hours of operation if known. I suggest that you call in advance prior to your visit to confirm accuracy. Please send me any updates and corrections to this file.